The film is way too long. Mostly because of the Lone Ranger character is set up antithetically to what the audience wants to see – a triumphant hero. Armie Hammer, as proven in other films, is a capable actor. But this clumsy, nerdy, somewhat unlikable version of John Reid just doesn’t justify the running time. The intended arc for John Reid was that he starts off believing wholeheartedly in the law, the belief is then shattered and then he learns that to give justice, he must provide the justice himself. Verbinski spends way too long at phase one and it takes two hours before we arrive to phase two. In between that time the audience is just waiting for John Reid, a very inactive character, to change. Johnny Depp has said that in playing Tonto, he hopes to change the past cultural misrepresentations of Native Americans on film. This hasn’t been brought up, but Johnny Depp previously played a Native American in a film he directed called The Brave ( I wonder what Native Americans thought of that film). The Brave actually was closer to accomplishing this very goal by presenting present-day Native Americans that were living in harsh conditions and it told a story about a father trying to help his family to escape said conditions. Marlon Brando, who has also been trying to make a film about the Native American condition for years, makes a cameo in it. So how can Depp, who previously made a film that was considerate to the Native American condition make an aesthetic choice that would further mystify and misrepresent their image? It’s inconsistent with his intended goal. Depp’s Tonto performance, however, is fun to watch and drives the whole movie. Depp brings his usual tricks to comedy, namely a lot of mugging and facial reactions. This is why I think people are saying he’s doing Captain Jack Sparrow again. Comparatively, Tonto is a darker, more introverted character and more prone to solving his problems with violence than deception. The Tonto costume looks cool but I am of two minds about it. On one hand, I wish this costume was really authentically Native American so there’s no political problem. But on the other hand, it is not difficult to design a cool looking costume with actual Native American attire. The filmmakers probably should have done the latter and dodged a bullet. The concept comes from a painting that was drawn by a Caucasian artist that wasn’t referring to anything authentically Native American. In the painting, a crow soars over the Native American warrior’s head, which Depp has taken literally, making the crow a headdress for Tonto. The film justifies this by establishing that Tonto is an outcast, and therefore is able to make up his own set of beliefs with the white face paint and crow headdress. I honestly do not know how to feel about that but Johnny Depp’s Tonto is the most entertaining part of The Lone Ranger. I enjoyed it, but it feels like I shouldn’t be enjoying it. The production design is impressive; you can see literally where the budget went. The choice to shoot anamorphic was a great one; it transports the audience into the beautiful landscapes of the Old West. I read an article that argued how Westerns always underperform in the American box office, I don’t know why that’s the case. After all, Westerns are distinctly an American film genre. The two major action set pieces, one in the opening and one at the film’s climax, is where Gore Verbinski fares best. The William Tell Overture kicks in and completely energizes these action scenes. I completely dropped thinking about misrepresentation, and just went along with it. 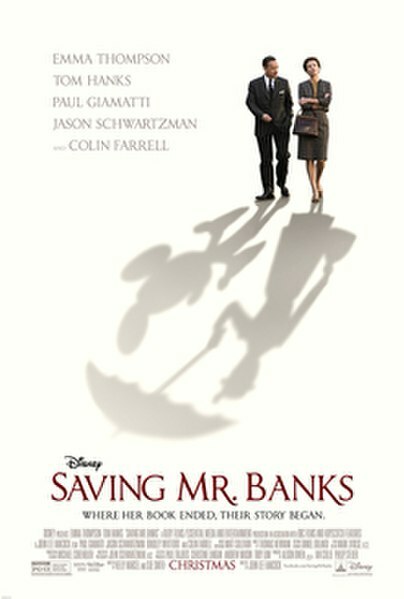 They are heavily designed in a way that evokes Verbinski’s previous film Mousetrap. The set pieces are an exhilarating thrill ride, and I wish the film would have just focused on delivering the fun. For every goal The Lone Ranger tries to achieve with the material, the filmmakers have set up something antithetical going against it. The idea of making a commercial summer blockbuster movie out of an ugly part of American history is a noble one and I applaud it. There are scenes that show what has happened to the Natives that was genuinely tragic. The final result does fall short from balancing such a heavy subject with its fun factor. Verbinski shouldn’t be blamed completely as it looks like the studio’s marketing team checking boxes as well. It doesn’t accomplish the goal of changing how Native Americans are perceived in the media, perhaps the best thing is it’s gotten people talking about the subject. In the end, the beginning and the end of The Lone Ranger is a lot of fun, but a lot of fat could have been trimmed from the middle. Even the bookending device with an aged Tonto telling the story to a boy is extraneous and adds a post-modern layer onto the film that continually takes you out of the story. I have no problem with downplaying the Lone Ranger to make Tonto a more central character, but it’s overdone. 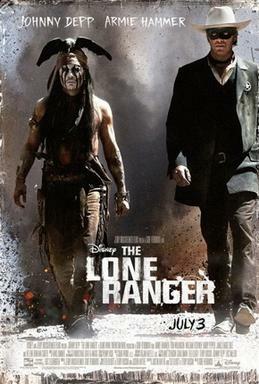 The Lone Ranger is just not an interesting protagonist, and the central story is about John Reid. It’s like the filmmakers got confused with that and couldn’t handle the material with discipline. I imagine if I saw it as a child, I’d just fast-forward through the fun parts.